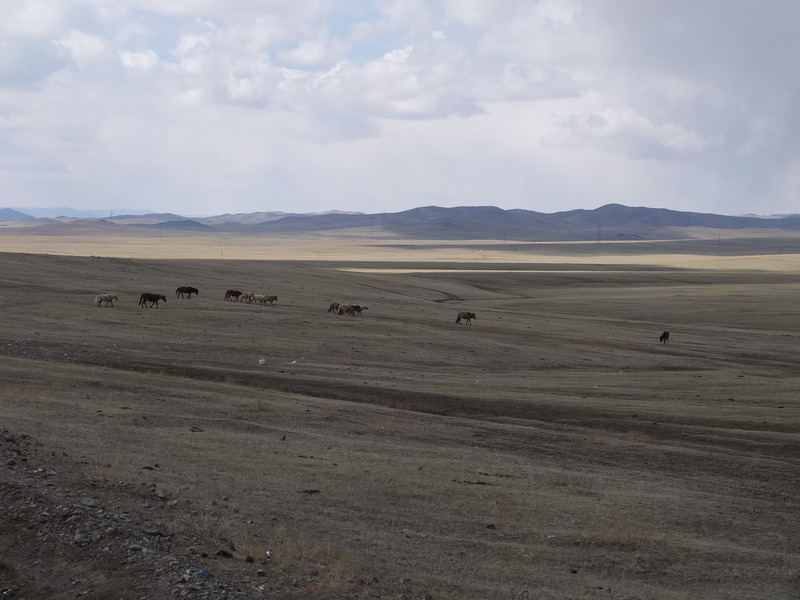 After about 20km of hectic Ulaanbaatar traffic, the Mongolia of my imagination opened up before me. 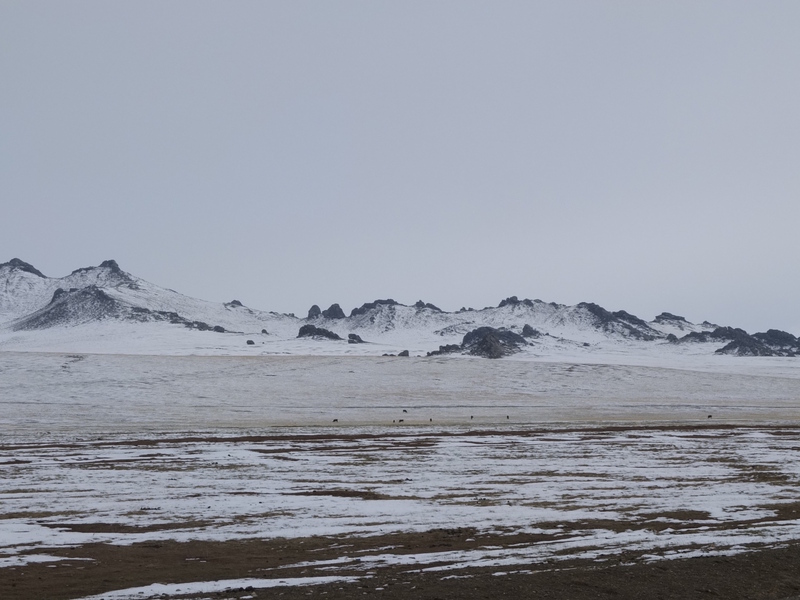 Here, the landscape is so vast that it feels almost limitless. 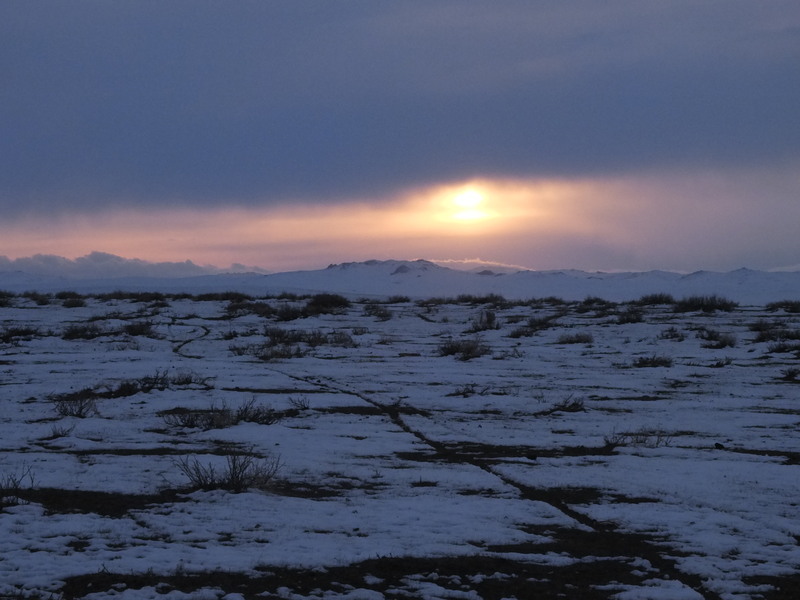 With no fences in sight, the land seems to have no boundaries. What seems like a short distance away is really many kilometres. 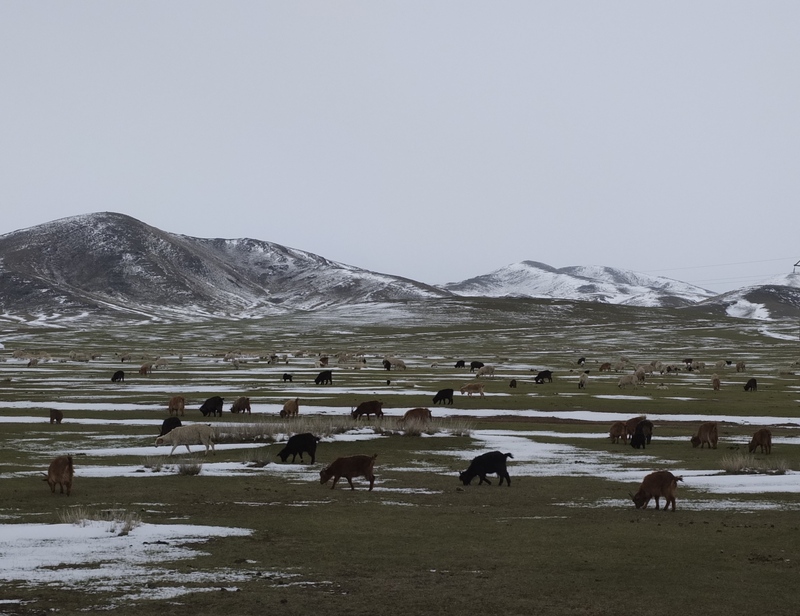 Sheep, goats, cows and horses outnumber the population of people by an astronomical amount. It is an exhilarating place to ride a bicycle. looks like a painting, doesn’t it? As remote as the place feels, you are never really completely alone. 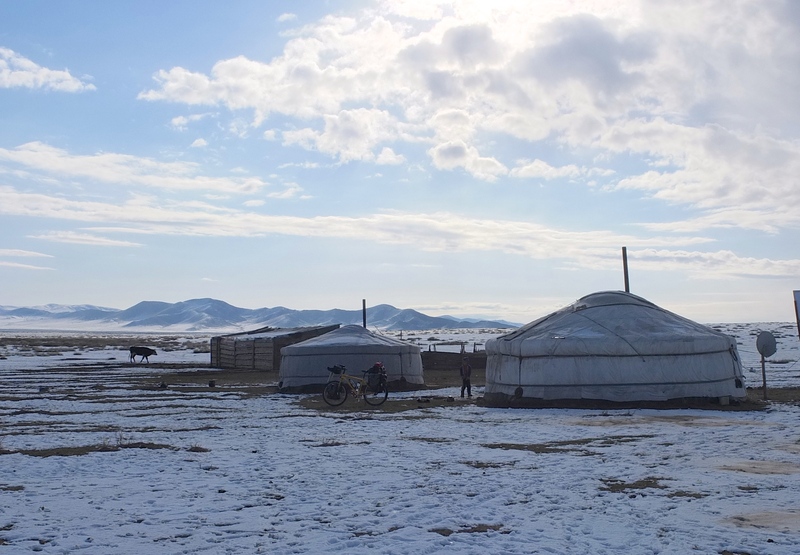 Gers, the traditional dwelling of the nomadic herders are always around. 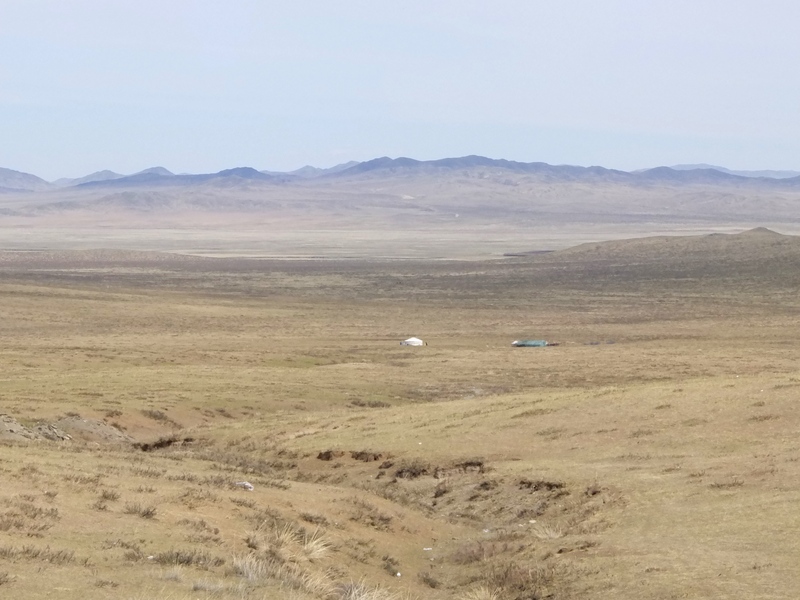 Though sparse, they are spread across the landscape. 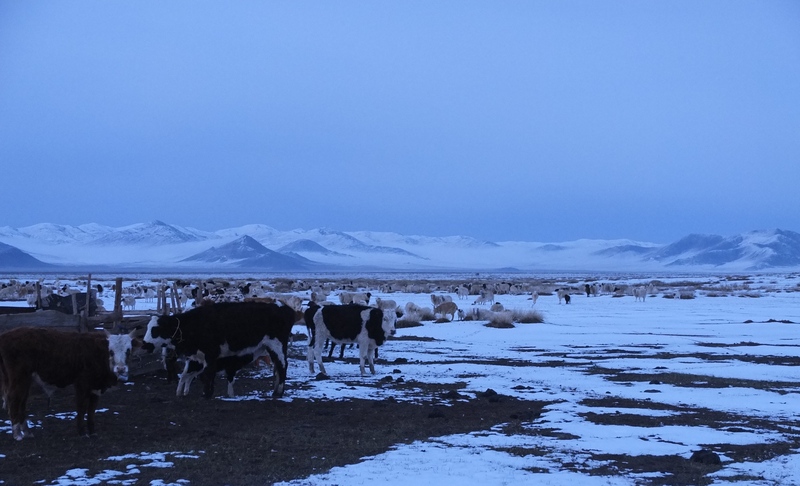 When you think you are hidden from view, chances are you have been spotted by a herder. 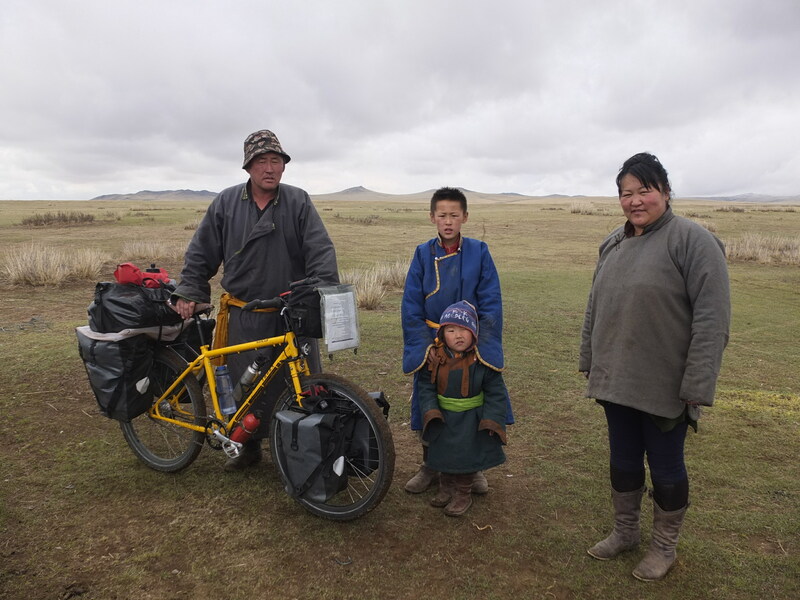 I was happy to be starting out on paved road, giving me a chance to get used to my 35-40kg load. 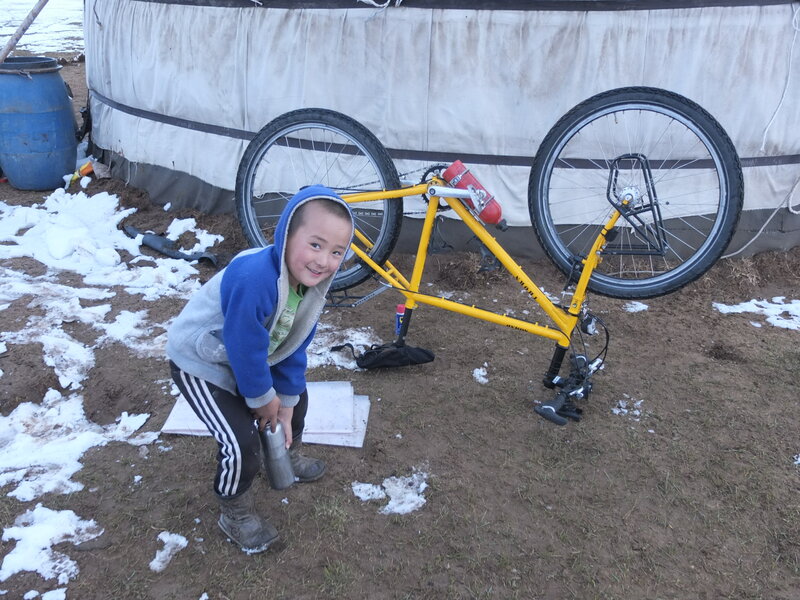 I knew that some tough off roading was ahead – no bicycle tour of Mongolia is complete without it. For now, the biggest challenge was dealing with the headwinds. The prevailing winds are West or Northwest, the direction I am heading. The weather is also quite variable. Heat and sun turn to snow, snow to sleet. After reaching my distance goal for the first day, I pushed my bike off the main road and into some hills to camp. Over the crest of the hill, I spotted a ger. 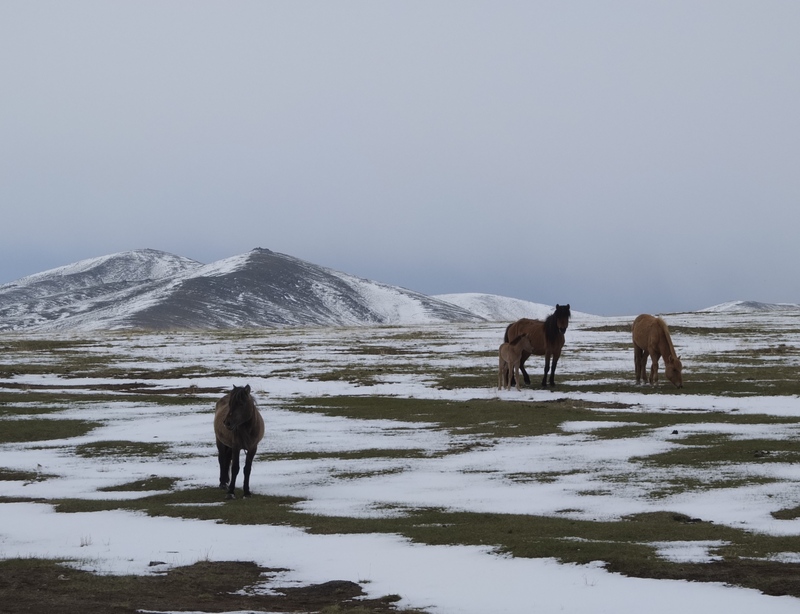 I approached and immediately a couple of dogs started barking. A woman came out and I asked (more like gestured) if I could set up my tent beside her ger. She motioned for me to come inside and stay. 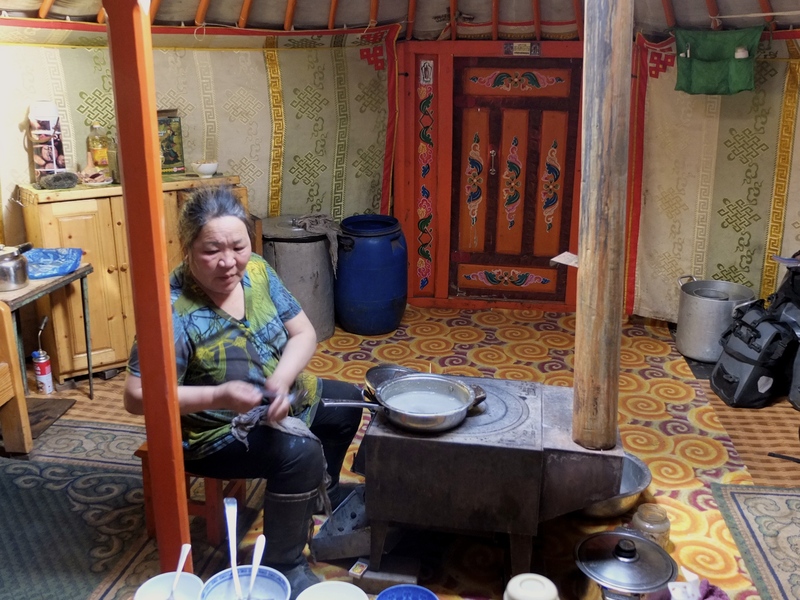 She gave me suutei tsai – a traditional type of tea boiled with milk, salt, butter or mutton fat. It is prepared in a large pot over the wood stove in the centre of the ger. I quite enjoyed it. She also fed me sweets and a rich meat stew. It was a great experience being in a ger. 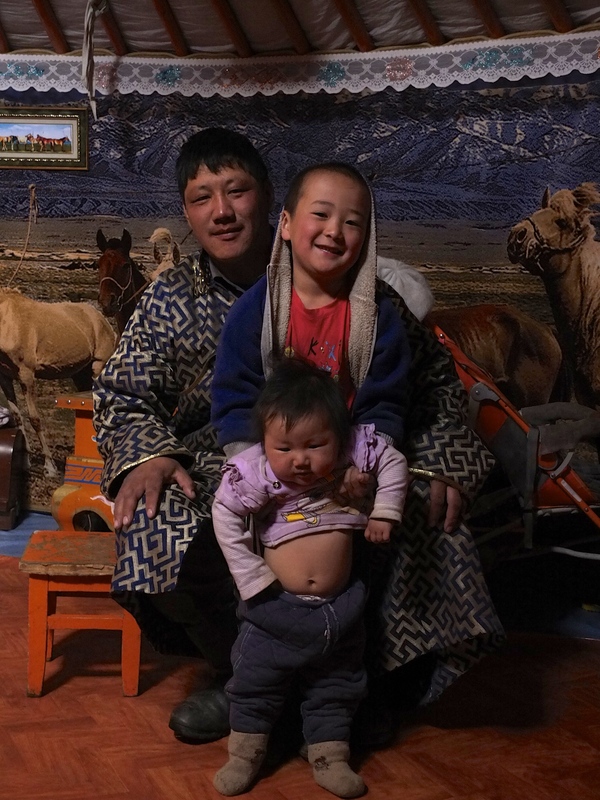 Mongolian people are some of the kindest in the world. I cycled on and the landscapes continued to amaze me. 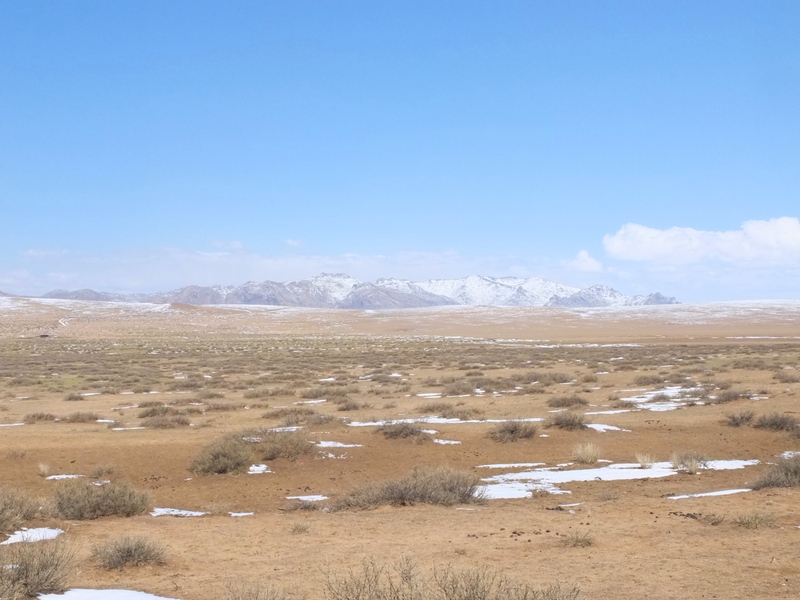 The grasses have not yet turned green, but I loved the stark beauty, desert- like. For me it was reminiscent of parts of my ride through Tibet four years ago. As the countryside slowly emerges from its wintery slumber, green will start to appear. I am already seeing patches of it. 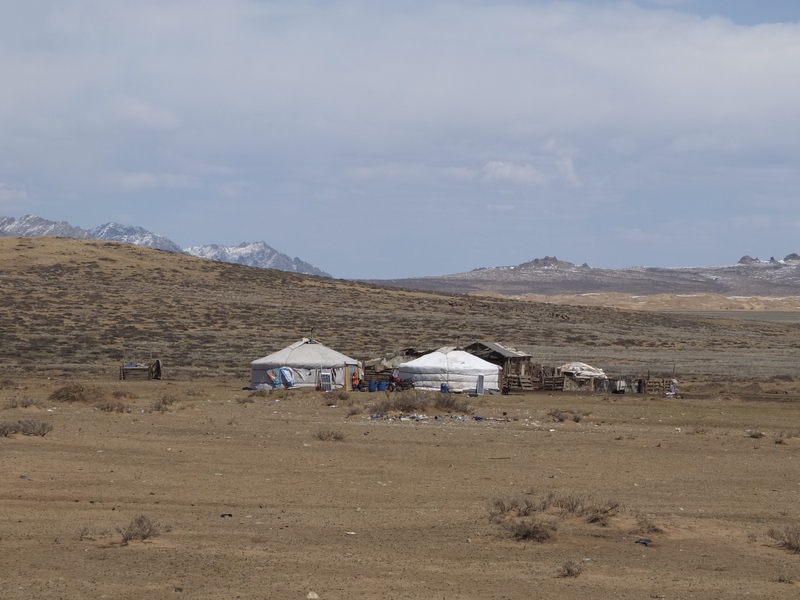 Mongolia is also one of the greatest places for camping. You can pretty much pitch your tent wherever you feel like it. 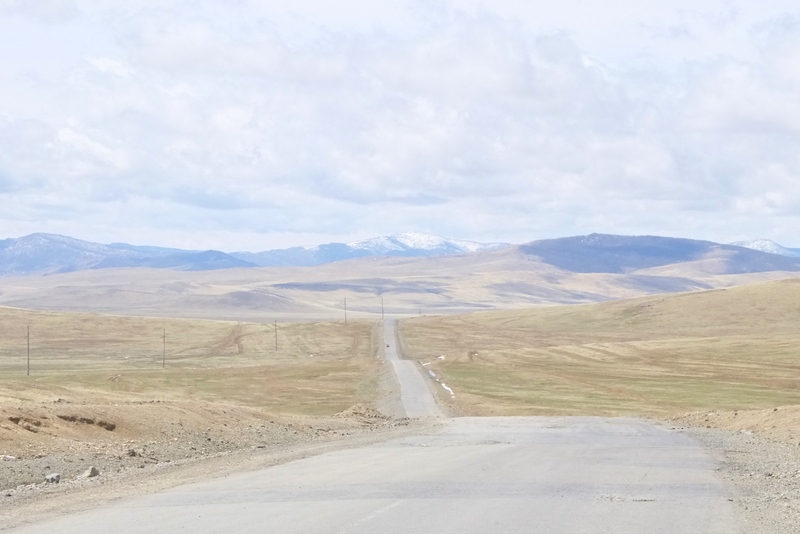 About 15km from Erdenesant, I approached a man on a motorcycle on the side of the road. He waved and motioned me to stop. He made a drink gesture and pointed to his ger in the distance. I had only cycled 20km at that point, but I couldn’t refuse. For the next 3 hours I was hosted by this wonderful family. I am a Canadian cycling around the world. 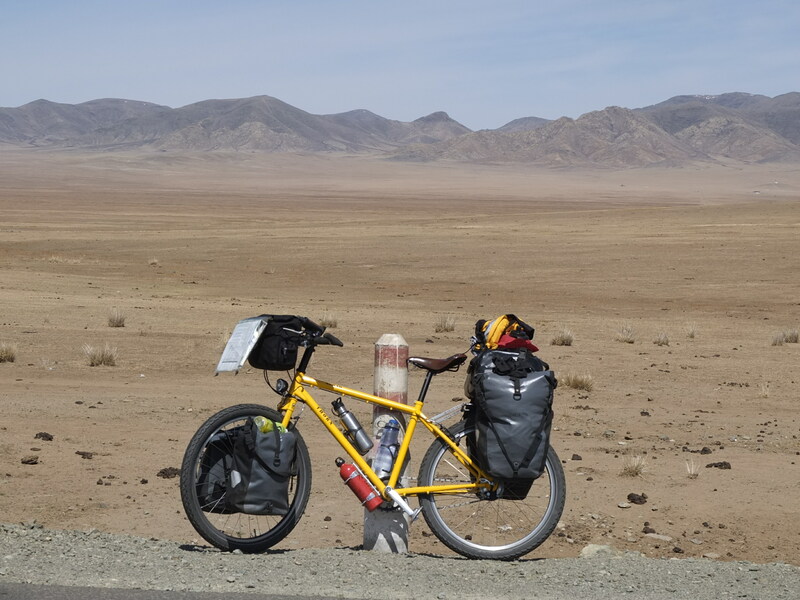 My route is taking me across Asia from Mongolia to Uzbekistan and then into Africa from Cairo to Capetown. The journey will take approximately 18 months and will cover around 25,000 km. I am travelling slowly by bicycle as it gives me time to enjoy your beautiful country. I am writing to my friends and family in Canada about my trip and will enjoy telling them about your culture and meeting local people. 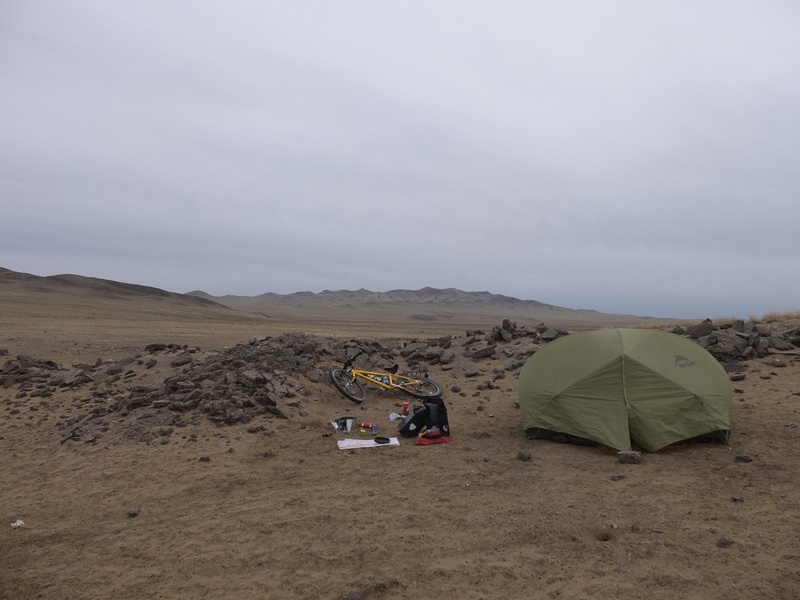 I am able to travel cheaply as I have everything I need on my bike including a tent and cooking equipment. I am excited to be riding across your country and I apologize for not being able to speak your language. 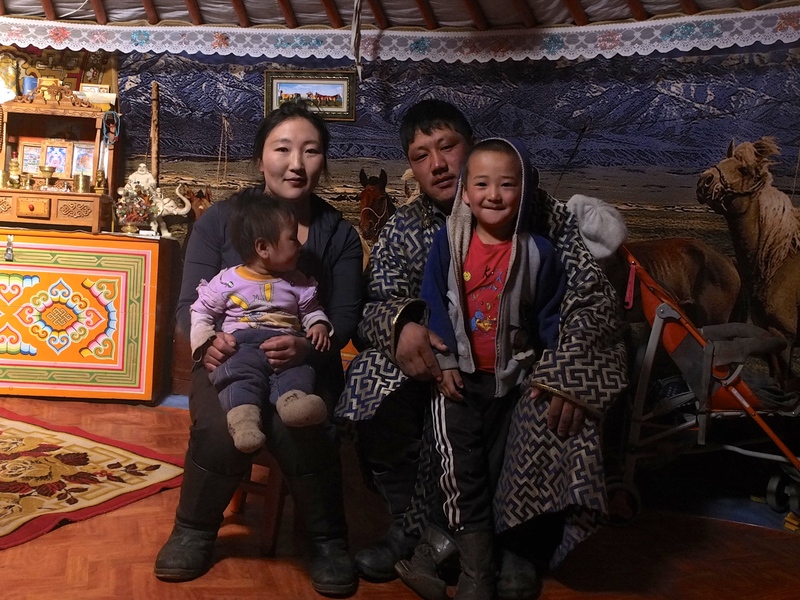 I hope that you can help my journey to continue safely and happily. 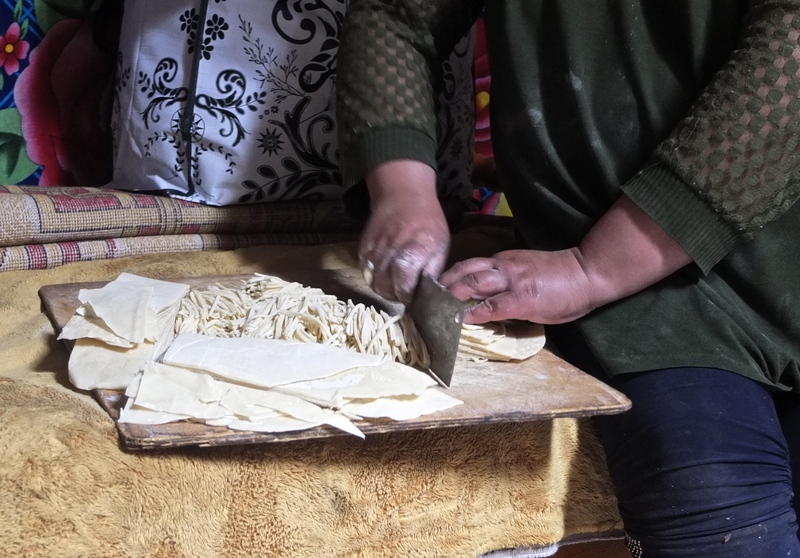 In the ger, I was treated to fresh handmade noodles made into a dish called tsuivan which is fried with beef or mutton. The meat is usually made into a jerky before it is used so it can be preserved. Endless cups of suutei tsai are also on offer. 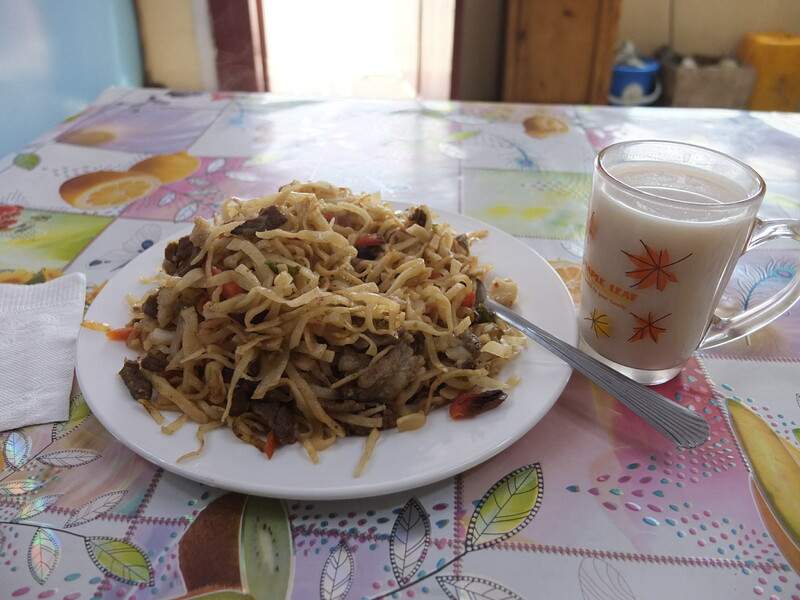 Tsuivan has become part of my daily diet – it is greasy, loaded with carbs and fat and delicious. Perfect for cyclists. If you are lucky you can get some vegetables in it other than onion, but this is rare. This plate of Tsuvian had way more vegetables than usual. Served with tsai. The family asked me to stay for the night but I wanted to continue on. 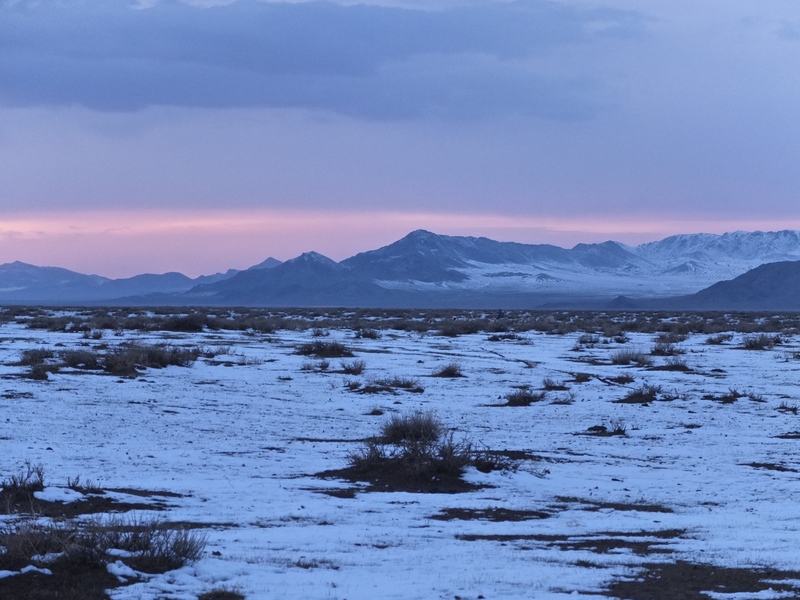 I stepped out of the ger into a snow-covered landscape. Although it was cold, it looked majestic. 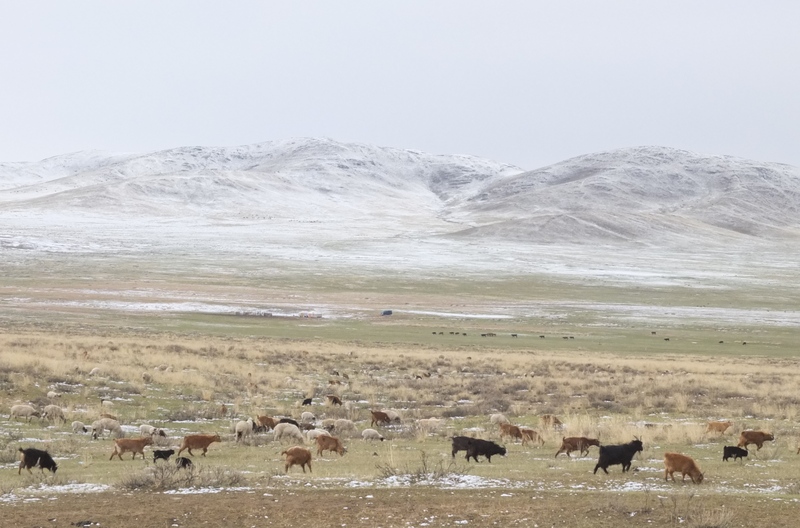 Mongolians say that you can encounter all four seasons in Spring. Further down the road, it started to snow again – a lot. 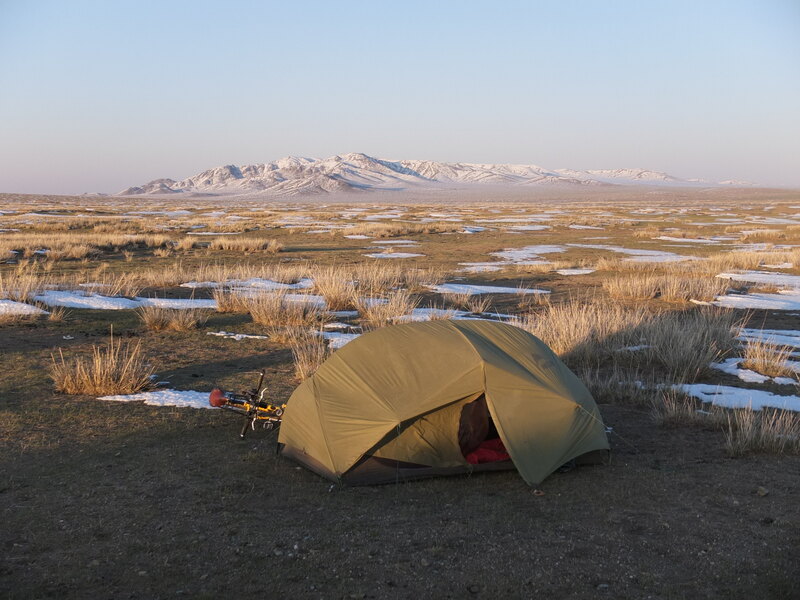 I cycled on, continually putting off stopping to set camp for the night. 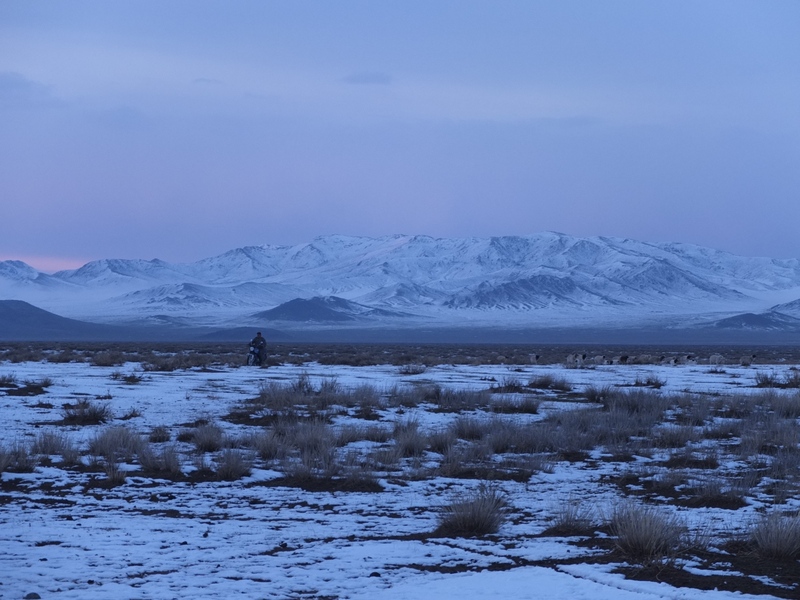 Eventually I had to call it quits and dragged my bike through the snow over a hill. When I thought I was alone, I saw another ger. I had wanted a bit of privacy that night. 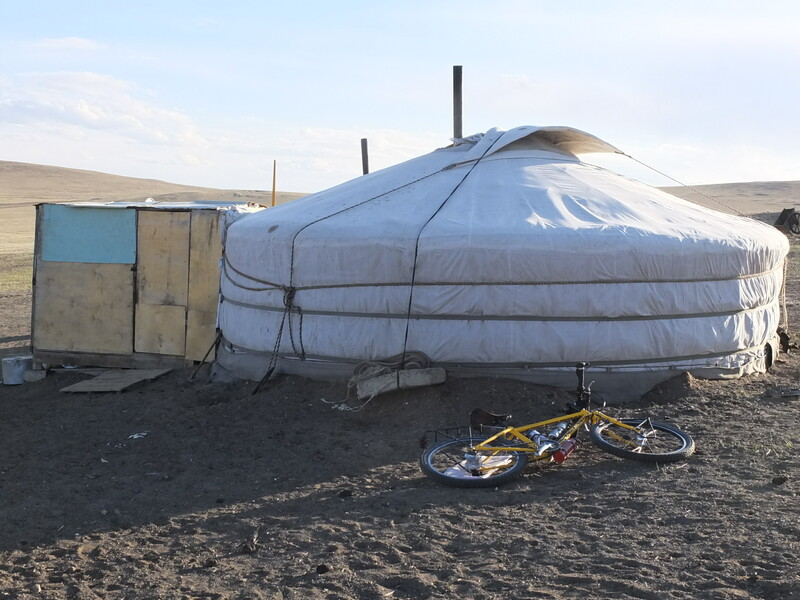 Even though it is wonderful to experience staying in a ger, it can be exhausting with the language barrier when I am tired from a day of cycling. Soon, a man on a motorbike with a small boy approached me from the distance. He insisted that I stop setting up my tent and stay in his ger with his family. At this point it kept snowing and I obliged. The ger was in a spectacular setting. The snow capped mountains in the backdrop made it that much more beautiful. I played in the snow with the little boy. There was a lot of laughing. 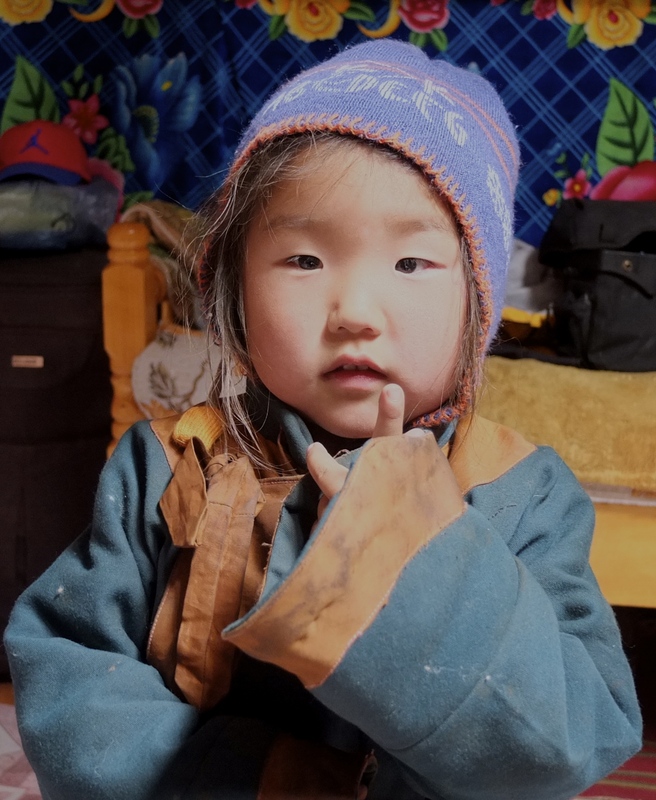 Language barriers don’t exist with young children. The couple also had an adorable young girl, not even a year old. 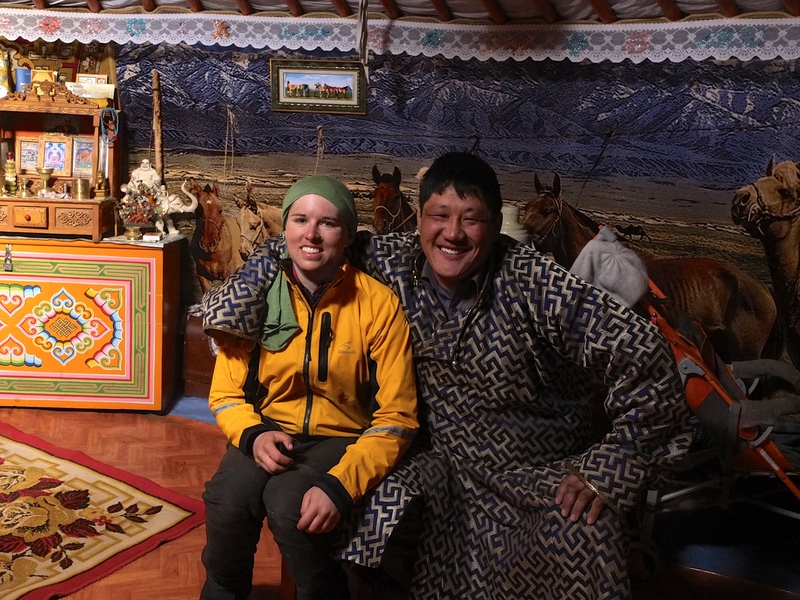 I was treated to more incredible Mongolian hospitality. Here, the people are as spectacular as the land. 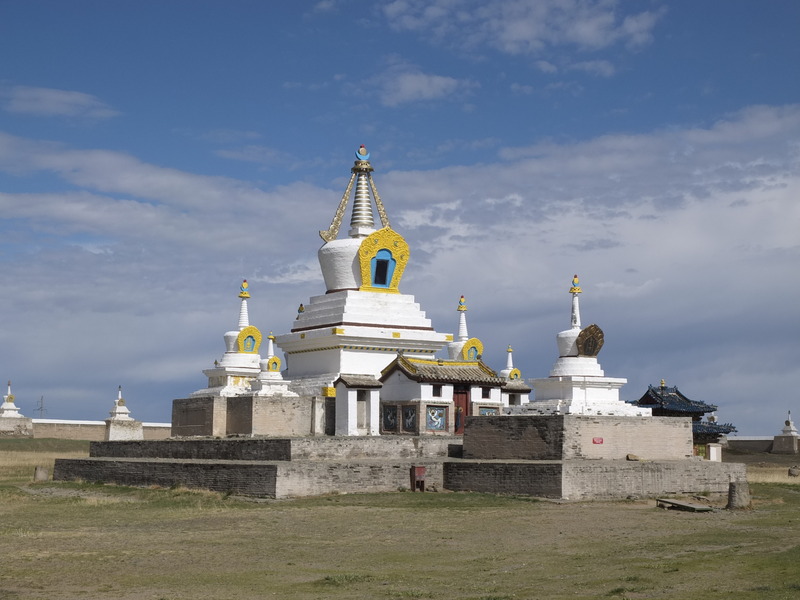 The next day, I cycled the remaining 50km to Kharkhorin, where I took a rest day to see Erdene Zuu Monastery. It was a wonderful, atmospheric place. I enjoyed walking around inside the large walled compound. 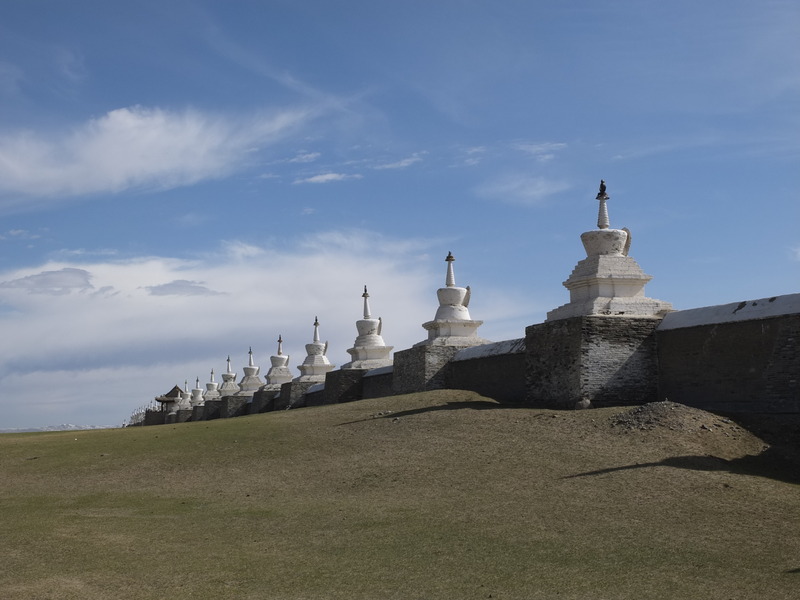 The monastery has 108 stupas lining its exterior walls. It is a sacred number in Buddhism. 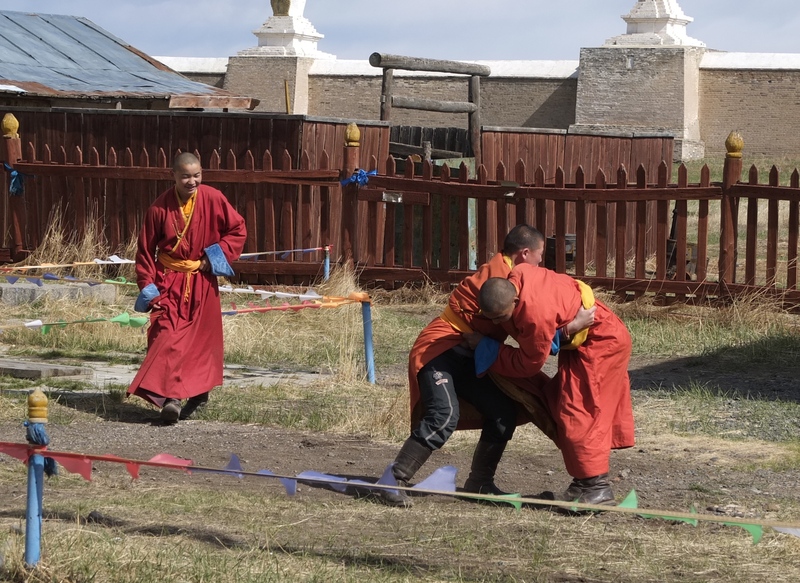 Founded in 1586, Erdene Zuu Monastery was the first buddhist monastery in Mongolia. 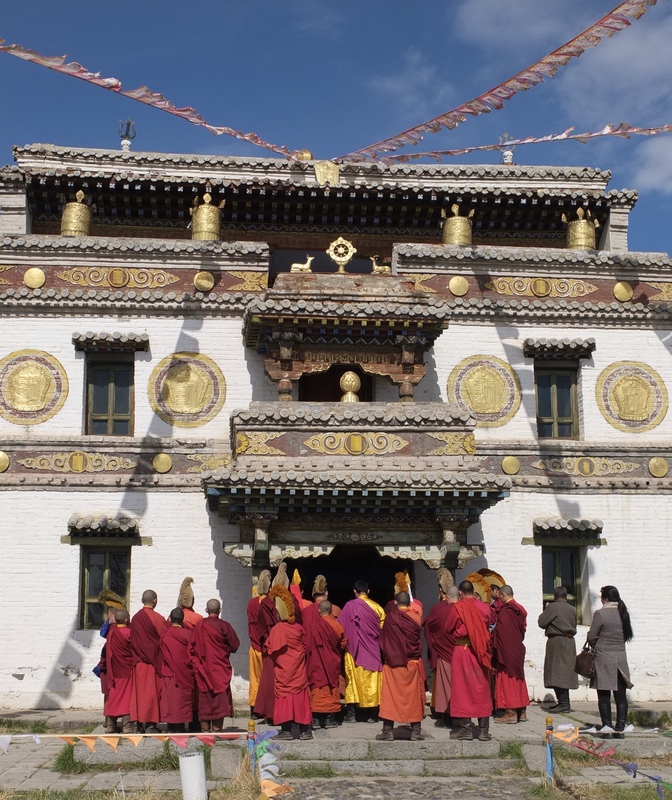 At its height, over 1000 monks attended. The monastery was largely destroyed during the Stalinist purges of 1937. It wasn’t reopened for worship until 1990 when communism fells and religious freedoms were restored. 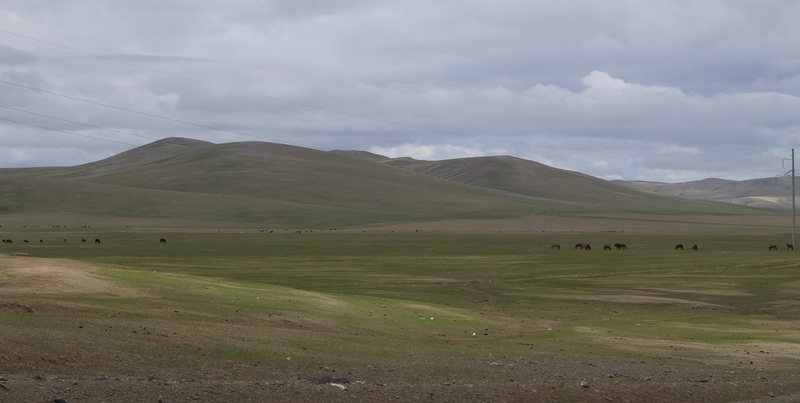 I am now in Tsetserleg, plotting the remaining 2000km or so left to ride in this fantastic country. I think so far out of the 18 countries I have travelled I have found a new favourite. 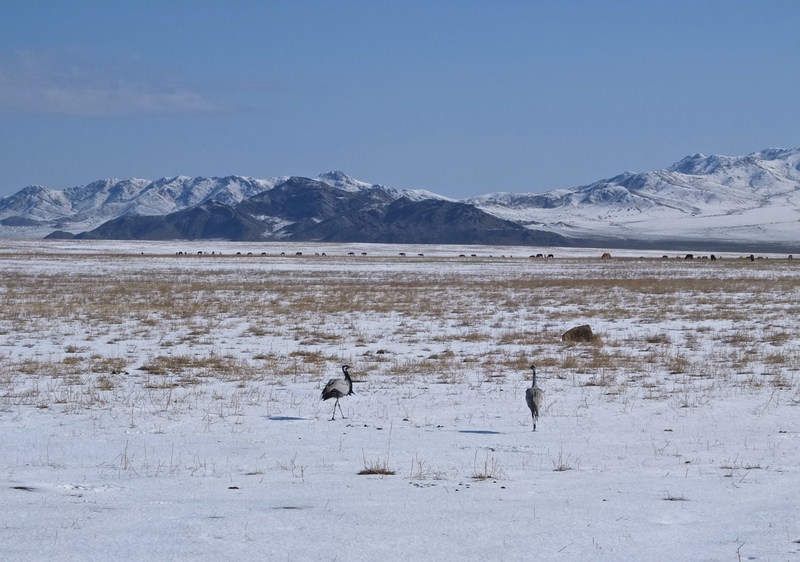 This entry was posted in Mongolia by taraleighweir. Bookmark the permalink. This is absolutely fascinating and you are an adventurer extraordinaire! Somehow (Brad? ), your trek must reach the media and be recorded in documentary style. Thank you so much for sharing your journey with us!!! This is an amazing experience. We look forward to following your adventure . Thanks so much for the compliments Steve! Where are you now? where are you headed? and how long will you be on the road for? Your trip sounds so amazing Tara! I’m really enjoying your posts! Thank you for sharing those beautiful breath taking photos, may your journey be wonderful, be safe and have fun riding, enjoy life doing what you love. You are amazing!! I love your writing! You should definitely become a travel writer. I envy you your experiences. I am looking forward to your next instalment. I really enjoyed reading your blog! Absolutely fascinating!! Great pictures!